Got Sole??? Our network does! 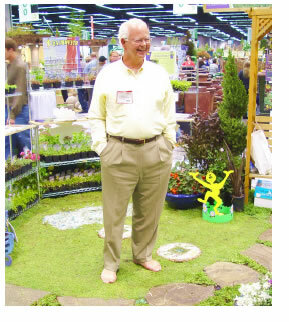 We have put together a tremendous group of growers and garden centers that have Sole! So much so, they are reaching out to help others in their communities as our first Sole Brothers and Sisters! Everyday as a business we are given the opportunity to sell our product. What if every day, we gave ourselves the same opportunity to help others? How much better would our community be? How much better would our world be? You don’t have to look far. You can have a direct impact on your local community. It can start with your neighbor, a co-worker, or a perfect stranger. Bend over and pick something up for someone, plant a few plants for an elderly neighbor. Cut a bouquet of roses for the lady down the street that is going through tough times. Being kind to other people is easy, if you look for simple ways to make a difference. We know you have Sole too! That’s why we are asking you to become a Sole Brother or Sister and Step Forward and Give Back. Gardening and Giving, now that’s a winning combination! Please join us on our quest to make our world a better place, one neighborhood at a time.